Israeli forces stormed into Al Aqsa Mosque, on Monday morning, and began to photograph the mosque’s landmarks and take measurements without mentioning any reasons for it. 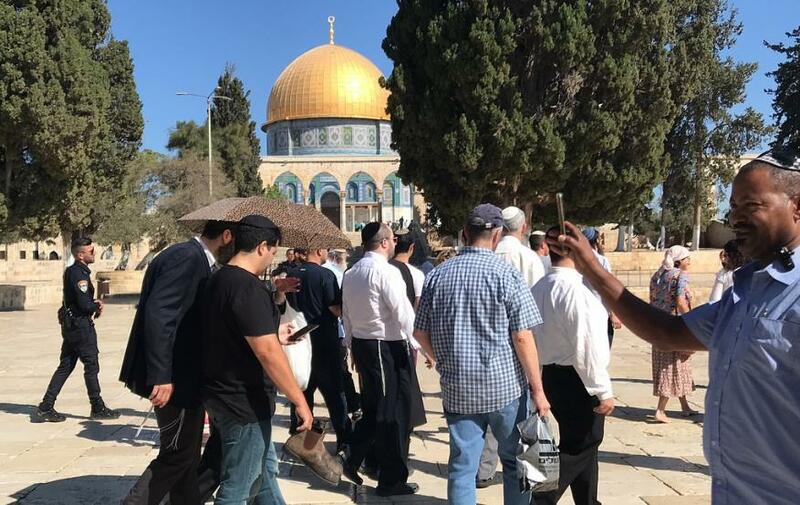 Later this morning, groups of Israeli settlers renewed the provocative incursions into Al-Aqsa Mosque through the Moroccan Gate, carried out tours inside the mosque, under high security reinforcement, until they left the mosque. In the same context, Israeli occupation authorities decided, on Sunday, to temporarily expel five guards from Al-Aqsa Mosque for periods ranging from four to six months. According to Al Ray, the six-month deportation decision included guards Fadi Alian, Louai Abu Saad, Ahmed Abu Alia and a member of the Jerusalem district Awad Salaymeh. The occupation decided to expel Yahya Shehadeh and Salman Abu Miyaleh, for 4 months, from the mosque. 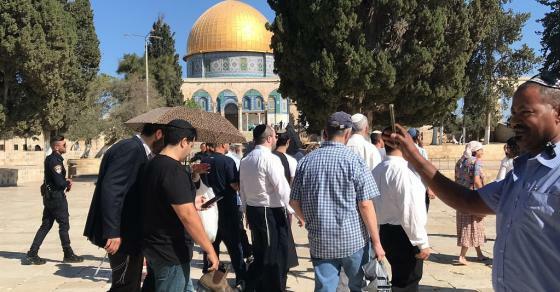 Israeli settlers storm the Islamic holy site on a daily basis, in an attempt to divide the mosque temporally and spatially. The number of Israeli settlers storming the holy site has risen since US president Donald Trump’s declaration of occupied Jerusalem as the capital of Israel. Members of the so-called “Temple Mount” movement have been publicly calling its followers to participate in wide scale mass raids on the holy site.